As Lang has learned through many years in the classroom, a music program improves when the director can devote less time to administrative tasks and more time to the music. Wind players often lag behind percussionists in rhythmic ability. Here are some great exercises to close the gap. These two short articles offer perspectives on the importance of making the most of rehearsal time. 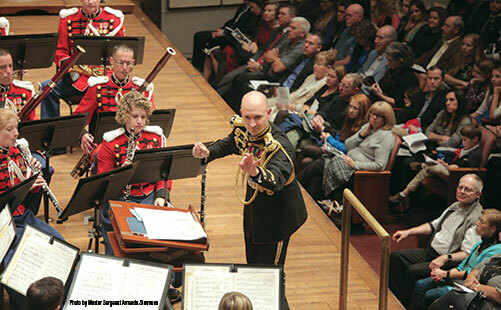 For busy band directors, a part-time gig in a National Guard band provides great opportunities to travel and perform while serving the country. Sousa’s gravesite in the Historic Congressional Cemetery has a fascinating history. This short article offers a perspective on the importance of making the most of rehearsal time. "I asked my students what they thought about calling me Sensei Reely. I believed the term had an authoritative, rough-around-the-edges cuddliness to it that they would find appealing. "